The documentary ‘Loud Listening #2: Through the Sound of Murano Glass’ and the interactive map with the sounds recording at the artist residency will be shown during the exhibition ‘Living With Glass’ at the Museum of contemporary craft in Portland, Oregon. In January 2014, Italian collective Archive Soundscapes held an artistic residence on the island of Murano, Venice, Italy. 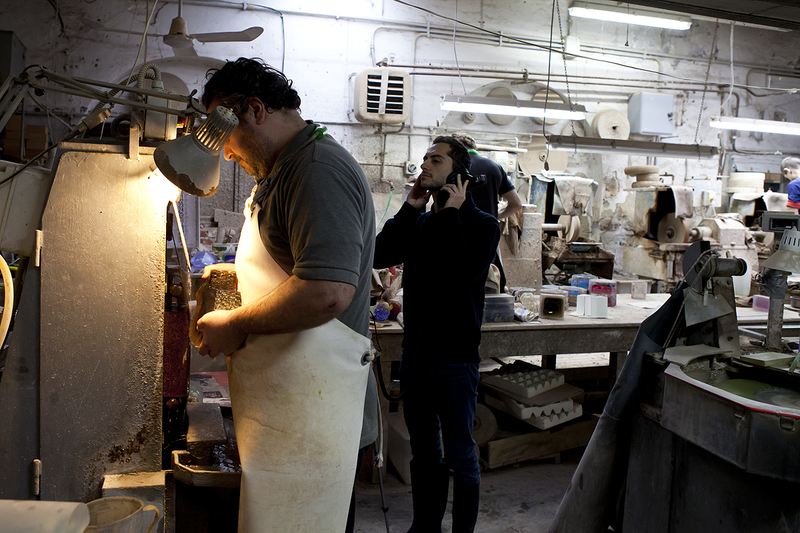 The project, Loud Listening #2: Through the Sound of Murano Glass, was an experiment in sonic exploration born out of the intention to investigate the soundscapes of the Italian industrial areas, in this case: the glass industry of Murano. 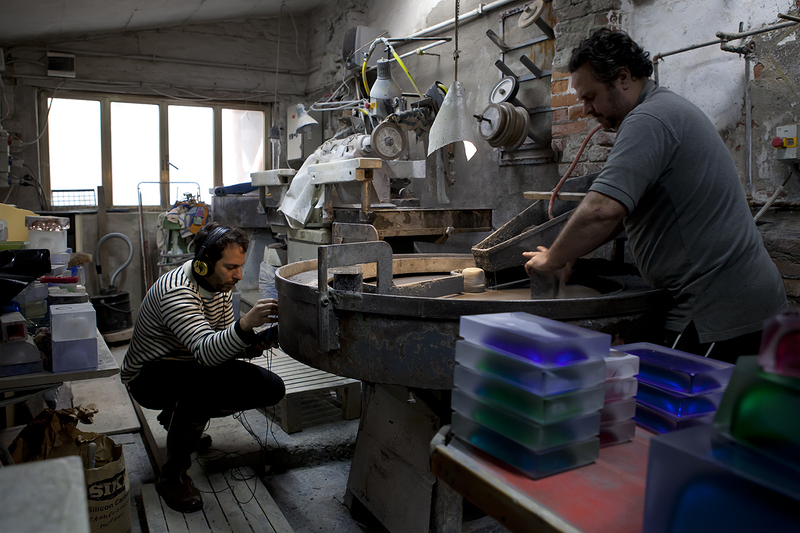 Sound artists Alessio Ballerini, Enrico Coniglio and Attilio Novellino completed a three-day residency to record audio and video in a number of glasshouses that still practice traditional glass production technique, from handblown vessels to the fabrication of mirrors. The result was an interactive soundscape and short documentary video. 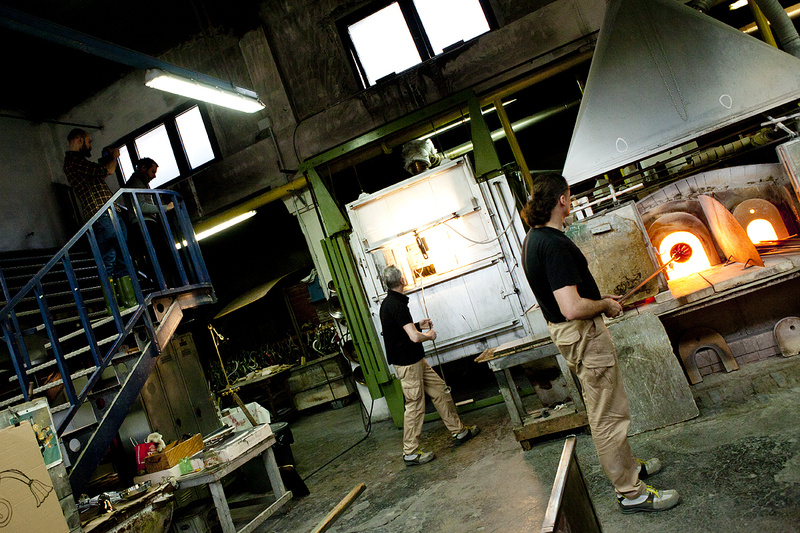 Loud Listening #2: Through the Sound of Murano Glass was made possible by to the Consortium Promovetro Murano, with the support of the Chamber of Commerce of Venice.